Auvergne is one of the regions where we produce the more PDO cheese with more than ¼ of the French Production and five different PDO cheeses! Sancy is the birthplace of the PDO Saint-Nectaire. Created during the Arveni area, it became really famous during the 17th century, when it was introduced to the Louis XIV court thanks to French Marshall Henri de Sennecterre. It is a semi-soft texture with a natural grey or orange crust. The Saint-Nectaire cheese is made every morning and night after the cow’s milk milking. Curdled during one hour, the milk is divided in grain for the extracted serum called the “mergue” (whey). Then, the “musadour” put on a vertical position will join the tomme by separating it with the whey. The tomme is put on a mold, salted with coarse salt, marked by the PDO oval casein plate (Protected Designation of Origin), identifying the producer and wrapped in linen canvas. The cheese is placed under a baler during 24 hours. Then the cheese is removed from the mold and conserved in a cold room during a week. Come in the various farms to watch the Saint-Nectaire manufacturing! The maturation period lasts from 4 to 6 weeks. Cheeses are refined in a farm or sell to a refiner, washed multiple times with salted water and then with clear water during 15 days, afterwards it is regularly turned to create this particular crust of Saint-Nectaire. The Saint-Nectaire dairy is created with pastured milk or not, coming from the PDO zone (Protected Designation of Origin) of Saint-Nectaire cheese. As the Saint-Nectaire basic cheese, a squared casein plate identifying its producer is placed on it, testifying its protected origin. 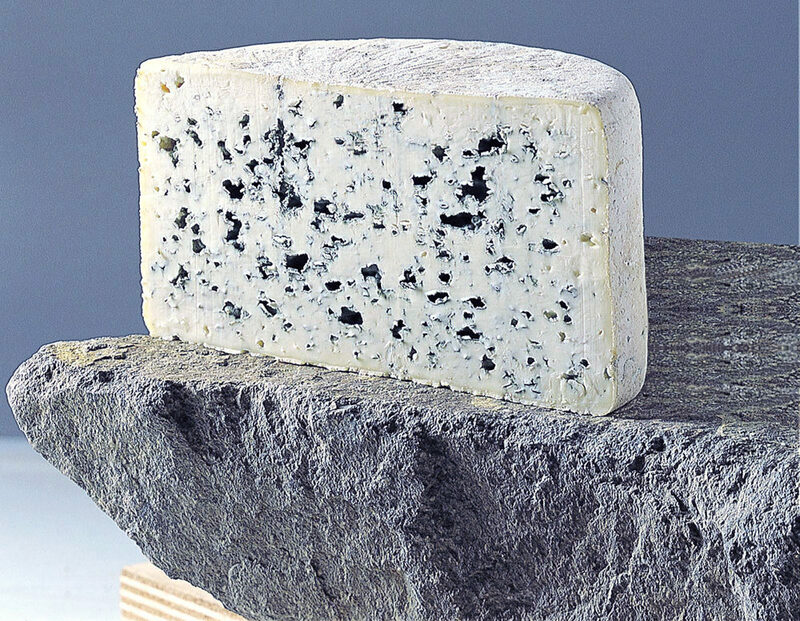 Bleu d’Auvergne, with its strong taste, born in the middle of the 19th century from a passionate farmer that sowed the milk with a blue mold that was in the rye bread. Salers, only produced in farms, it is a cheese made with cow’s milk when they are fed with grazed herbs, between April 15th and September 15th. Cantal, 3 cheeses in 1: depending on its age, it is called the young Cantal (Cantal jeune) – refined between 30 to 60 days-, the interval Cantal (Cantal entre-deux) –refined between 90 to 120 days-, and the old Cantal (Cantal vieux) –refined more than 240 days-. Fourme d’Ambert, the sweetest of blue cheeses, produced but cow’s milk and collected between 600 and 1600m altitude (1968 to 5249ft). Pavin, it is the force and the generosity of a cheese with a smooth and soft pastry. This cheese is usually manufactured with cow’s milk grazing around the Pavin Lake lands. Pavin is only taking its orange color and its soft pastry during three weeks of refining in deep natural cellars. Grand Murols, a red/orange crust cheese with a cylindrical form of 12cm (4.7in) and a 3cm central hole (1in). The central part, die cut, is sold separately, after a coating with red wax. We can find it under the name of Murolait or Trou de Murols. Other cheeses may surprise you, like the Lavaur, the fourme de Rochefort, the bleu de Laqueille or the Cabecou.